According to the Heroes patch notes, “Loot chests are no longer available for Gem purchase… Rare loot chests are now available for Gold purchase (3000 each).” For those not familiar, Gems are the only form of in-game currency that can be obtained with real-world money. Players get Gold by playing. It’s hard not to see this as an attempt to separate Heroes from the accusations of loot box gambling that have plagued the games industry for a few years now. While daily developments on the loot box front have cooled somewhat from the fever pitch at which they burned over the last few years, they’re still a controversial topic in the industry. The FTC is reportedly still in the process of investigating the practice, to see if they constitute a threat to consumers, though the investigation was suspended during the government shut-down. Some European countries have already taken legal steps against them, including Belgium (which has outlawed them) and the Netherlands (which is reportedly forcing some games to modify them, though authorities haven’t disclosed which ones). The controversy has always been that when you buy loot boxes, you don’t know what you could be buying, and therefore it’s a little closer to gambling than anyone would like — particularly since kids play the games. To be clear, you can still buy specific heroes, gameplay boosts, and other items within the game with Gems. You just can’t use Gems to buy loot chests, meaning it’s technically no longer gambling. It’s not the most thorough solution — that would be to do away with loot chests entirely — but it’s a way of wriggling out of the more problematic aspects of the game feature. For players of the game, this is neither the biggest nor most serious change to the game in the last few months. 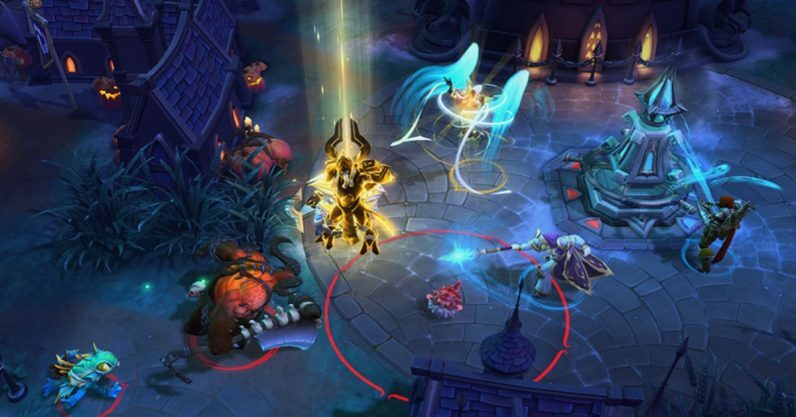 Blizzard has been steadily scaling back support for Heroes, up to and including dismantling its official esports league. This relative obscurity makes Heroes the perfect guinea pig for changes that could cause major upset in one of the company’s bigger games. Overwatch, for example, still has purchasable loot boxes, but that’s a game with a much more robust esports scene and an ardent community whose reaction is harder to predict. By starting with Heroes, Blizzard is testing the change in a smaller pond. So far, gamers barely seem to have noticed, and those who do are positive about it. We’ve contacted Blizzard for more information. The changes in this patch are now live in the game.